It’s evident that many people use safes to secure their valuables. However, purchasing the right safe is essential to ensure maximum security. For example, security measures at home differ with office. At home, the valuables are much more in amount than those you can get from an office. Also, the nature of the valuables differs a lot. For example, a safe at home will be characterized by valuables such as jewelry and money, whereas in an office files, flash disks and DVDS, money will be more. 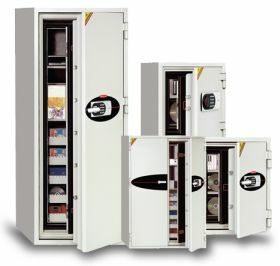 This guide is aimed at choosing the right safes for the right place to yield maximum security. The amount of valuables to secure/capacity: Voluminous valuables will require a larger facility than few valuables. The lock system: Some people prefer key locks to digital ones. Some of the digital locks combine biometric system and password technology. This facilitates the use of fingerprints and digits for better results. In either case, choose the most secure lock in the category. Price: Some are more expensive than others as per their design. However, some sellers hike the prices and therefore the need to carry a price analysis before purchase. Fire resistant degree: Many have tags that state the duration a safe can hold while in a burning atmosphere. However, the ones which hold for long are always expensive. The common types include those designed for business use and home use. 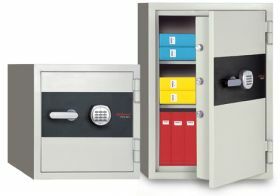 For businesses, they consist of fireproof safes, theft proof safes, and deposit safes. Home safes include those designed for fire and theft protection. As seen, they are almost similar for the two categories. They only differ in design and branding, but offer similar functions. These are explained below plus the other available designs. Waterproof: These are air tight. Thus, no water or air can enter in the safe. Similarly, the air trapped in the safe has no escape route. Thus, it is necessary to open the safe regularly to avoid dumpy conditions in the safe. Deposit safes: These are fixed on the ground and mostly used to store cash in companies for daily transactions. Key safe: These are safes specially designed to hold a large number of keys. These are typically used in high rise buildings, hotels, schools where there is a requirement to securely store many keys. With the advancement in technology, they have been improvised to suit modern day digital world. Some are fitted with motion sensors and linked to the clients’ phone. Thus, in case someone tries to break in a safe, the motion sensors will detect and send a warning to the owner. Others have spy cameras on them which transmit images of any intruder to the client. As war arts: A well decorated safe on the wall, amongst other decorations cannot attract attention to anyone. In the bookshelf: A safe located on the books shelf will remain unnoticed for a long time since a majority of people use the internet for research. Behind objects: A picture or mirror can provide a suitable area to locate them. These areas attract little or no attention. Holes: Some houses are designed with holes for storing things. This can be a suitable place for a safe. Safes are of numerous nature and variety. However, any of them should offer the security desired by the owner and per its manufacturers description.